Last night when we got home, we parked in the driveway because Brian was using the garage. Zack jumped out of the car and was delighted to discover a salamander on the driveway! He quickly scooped it up and brought it into the garage so he could see it better in the light. I, on the other hand, got the heebie-jeebies and felt my skin crawling so I went inside. Christine went out to look at the salamander with Zack. All three of my kids love animals and will pick up frogs, snakes and now salamanders. It certainly isn’t something they inherited from me, but it is something that I’ve always encouraged in the (even when my skin is crawling). This is the first salamander they’ve seen “in the wild”. I remember when Zack was 4, he wanted to find one so bad and was always on the lookout. Well, it only took 8 years, but he finally found one! Moving onto something much more pleasant, I made Pepperoni Pizza Dip that I wanted to share with you. I’m a dip kind of gal. I’ve been known to order warm dip as my entree at restaurants and this cheesy dip was delicious! Start by mixing together softened cream cheese, shredded cheese, pizza sauce, garlic powder, Italian seasoning and crushed red peppers, if you like it hot. Spread into an oven safe dish or pie plate. 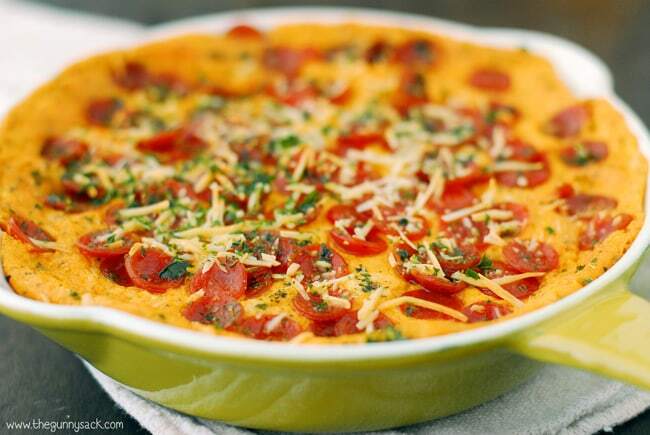 Top with mini pepperoni, shredded Parmesan cheese and oregano. Bake at 350 degrees for 20-25 minutes until the dip is puffed and lightly browned. If you are pressed for time, you could microwave this dip to heat it up, but the results will be a little different. Put the ingredients in a microwave safe bowl, heat for 3 minutes, stirring after 2 minutes. 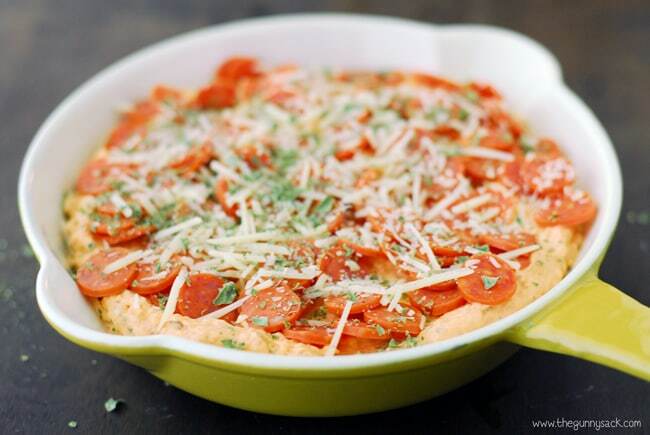 Serve the Pepperoni Pizza Dip with crackers, chips or breadsticks. We had it as an after school snack with roasted garlic chips and spicy cheddar chips. 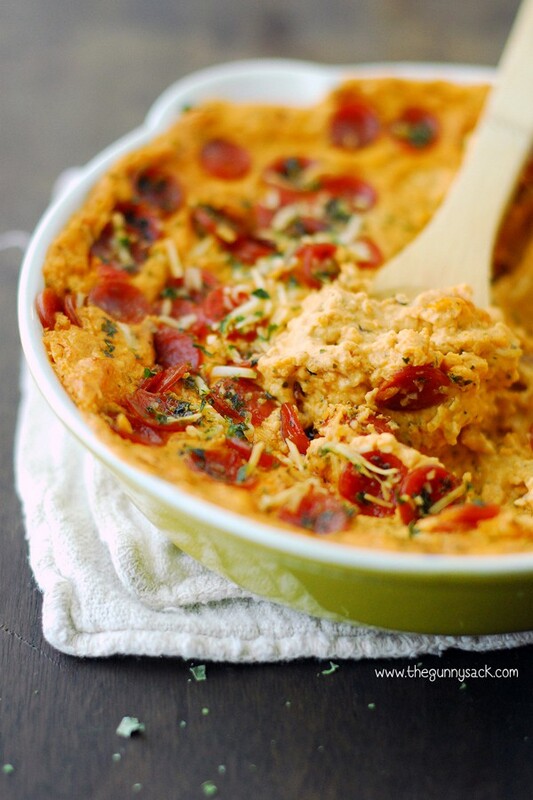 This dip would make a great appetizer for a party or potluck! Mix together softened cream cheese, shredded cheese, pizza sauce, garlic powder, Italian seasoning and crushed red peppers, if you like it hot. Spread into an oven safe dish or pie plate. 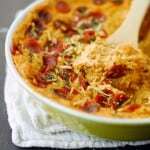 Top with mini pepperoni, shredded Parmesan cheese and oregano. Bake at 350 degrees for 20-25 minutes until the dip is puffed and lightly browned. Serve with crackers, chips or breadsticks. If you are pressed for time, you could microwave this dip to heat it up, but the results will be a little different. Put the ingredients in a microwave safe bowl, heat for 3 minutes, stirring after 2 minutes. Follow The Gunny Sack’s board Appetizers on Pinterest. Pass the bowl please!! What an awesome dip, Tonia!! Salamanders are so pretty, BUT ewwww…snakes…eeeek! Ick. I’d be running the other direction too! Just think amazing, yummy thoughts about this dip when crossed with little animals! This so wouldn’t last very long in our home. My husband and son would love this. Thank you for the great recipe here! oops…it looks like my husband’s gravatar filled in here here…sorry about that! You are very welcome! I’m so glad you stopped by! This looks wonderful. What a great idea for tailgating! This is a great snack. 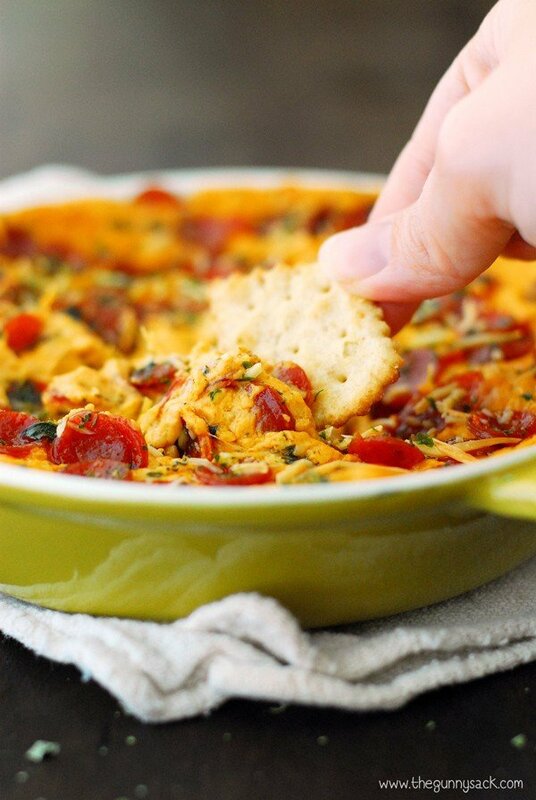 I love cheese dips and this one seems so simple to put together. I’ve ordered dips for dinner too and this look so delicious I would gladly eat this for dinner!!! You have? Yay! I’m not the only one! This looks SO good. I have to admit, I’m not into most dips because I don’t like mayo, but this is right up my alley! Yup, no mayo in this one! Thanks Ashley!